Cooking with K: Oven Baked BBQ Chicken + the secret to getting the grill taste cooking it in the oven! Oven Baked BBQ Chicken + the secret to getting the grill taste cooking it in the oven! I have been posting a lot of desserts lately, so I thought it was time for a main dish recipe. 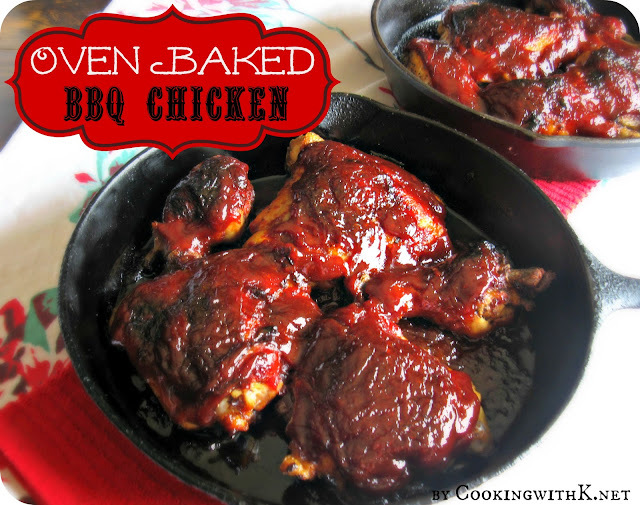 This Oven Baked BBQ Chicken recipe is one that I adapted from the Oven Fried Chicken recipe on the blog, except this time I didn't coat the chicken with flour. The luxury of baking barbecue chicken in the oven is preparing your side dishes while it is baking, and putting dinner on the table in no time. There is nothing better than multi tasking when preparing a meal. My cast iron skillets are my all time favorite cooking pans. Actually, I have several sizes, and there is not a day that goes by that I am not using one of them for something. 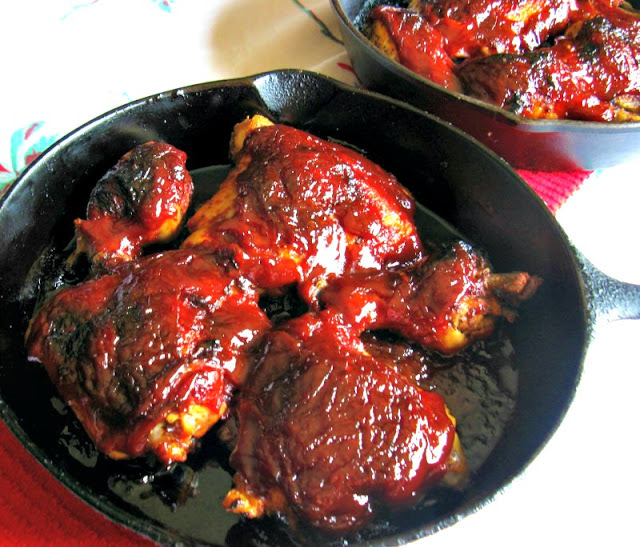 The secret to getting the grill taste by cooking it in the oven is to bake the chicken in the cast iron skillet until it is almost done, then crank up the oven, and add the barbecue sauce to finish cooking it. This way the sauce thickens and gets that wonderful rich coating that taste just like if you had grilled it. Preheat oven to 375 degrees F. Spray two 12-inch large cast iron skillet with non stick cooking spray; set aside. Season chicken with salt, pepper and Grill Mate. Place 5 pieces each in the two cast iron skillets for 45 minutes. 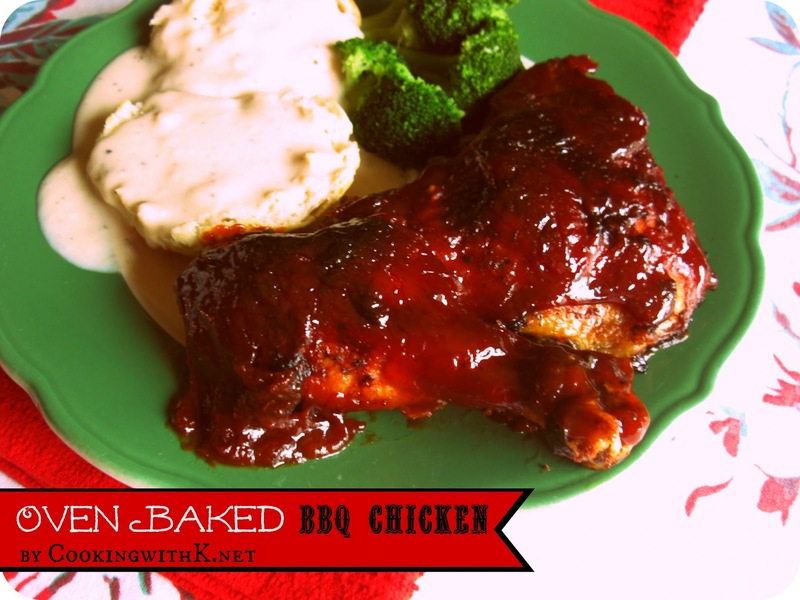 Remove from the oven and generously spoon barbecue sauce over each piece of chicken. Turn the oven up to 425 degrees F. and return the chicken to the oven and bake for additional 15 minutes or until chicken is done and barbecue sauce has thicken and slightly browned. Note: This recipe can be halved. You will need to adjust the seasonings accordingly. 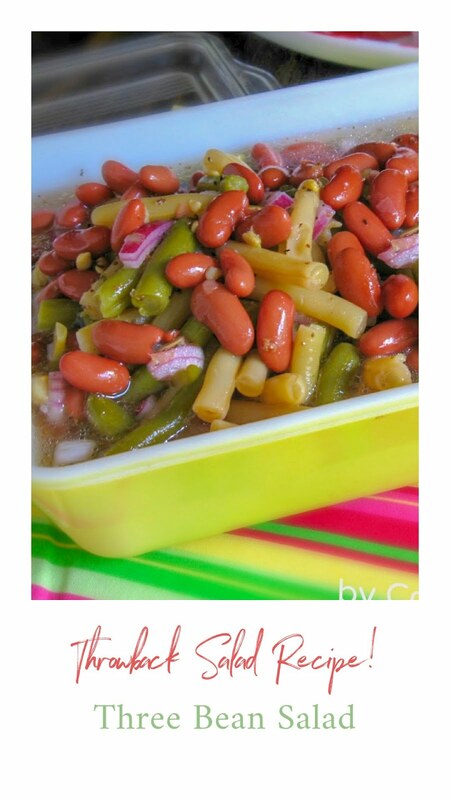 You may see this recipe on Linky Parties here! This looks so delicious! Saw it on facebook and definitely had to pin it so I can try it during the summer. Can't wait. 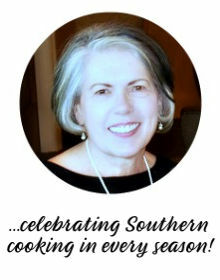 You're before me at the Foodtastic Friday link party so I'm here checking out your site and this chicken recipe, which looks delicious, by the way. Pure comfort food at it's finest. And then served with a biscuit and gravy. Yum. Mmm, I've been looking for a good oven barbecued chicken recipe forever! 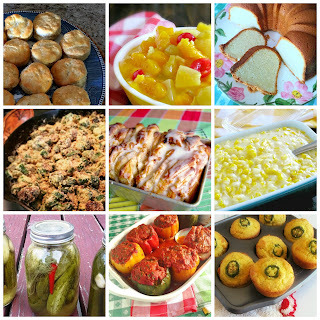 This looks mouthwatering, I'm pinning it to try soon :) Thanks for sharing at Foodie Friday! Oh, yummy! I am making this this weekend- it looks amazing!!! It's 10 o'clock in the morning and you've got me hungry for some BBQ chicken:) So excited to be following you on Twitter and Pinterest to see what you cook up next! This sounds perfect for a rainy night, but you still want your BBQ! Thanks so much for sharing at Two Cup Tuesday on Pint Sized Baker. I've pinned it! This is soooo good! It is now my go to recipe for bbq chicken. Way too long in the oven. Start checking the temperature at 20 minutes and figure 8-10 more for BBQ sauce. I served with asparagus and mashed potatoes and also made a gravy out from the pan: Butter, balsamic, cognac, garlic, heavy cream and starch water. I would use bone in just because I think they are more flavorful...but boneless chicken breast are fine too!